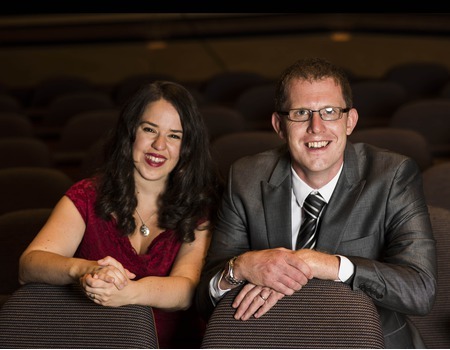 Daniel and Laura Curtis are Award winning composers and lyricists. 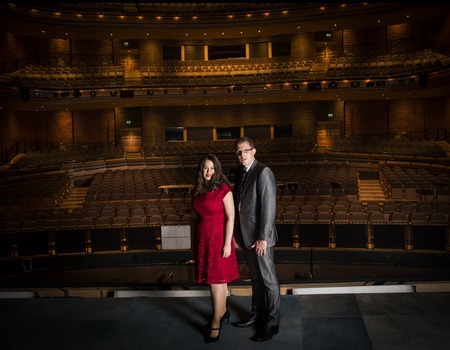 Their work is now a staple in the repertoire of artists performing Musical Theatre internationally and has been performed at venues such as the Royal Albert Hall and the London Palladium. They found success developing new music for some of the world's most celebrated performers such as Lea Salonga, Sierra Boggess and Ramin Karimloo. This culminated in the production of their first album, Love on 42nd Street and the commission of their acclaimed second album, Overture, which was released in October. Their numerous single releases have all topped the iTunes and Amazon Vocal Charts alongside Love on 42nd Street. BBC Radio 2 has championed their music on programmes such as Elaine Paige on Sunday and Weekend Wogan, Curtis' have also appeared on BBC Breakfast and The One Show to discuss their work. They are currently working on a musical about the life of Regency era clown, Joseph Grimaldi. Guest artists include: Blake Patrick Anderson; Will Barratt, Erin Caldwell; Maria Coyne; Samantha Dorsey; Mark Llewelyn Evans; Jacqueline Hughes; Charlotte Jaconelli; Joshua Lewindon; Luke McCall; Cleve September; Summer Strallen; Paul Ettore Tabone; Matthew Vankan and virtuoso violinist Florian Rago. The line-up is subject to change at short notice due to a change the artists' availability.